Working at Alannah Hill makes it really hard to save, particularly now that they've started to bring in the beginnings of the Autumn/Winter collection. Now that it's half way through the last month of summer here in Australia, I'm already planning ahead for my favourite season! Although I already have several similar tops, I adore the knit tee, knee high bow socks and pale pink jacket - these have all gone straight onto my wish list. I'm off to Adelaide later tonight for a two week holiday to visit my family and friends there. My shop will still be open during this time, but please note that orders won't be posted until 1st March when I return. Hope you all have a lovely valentines day whatever you choose to do! 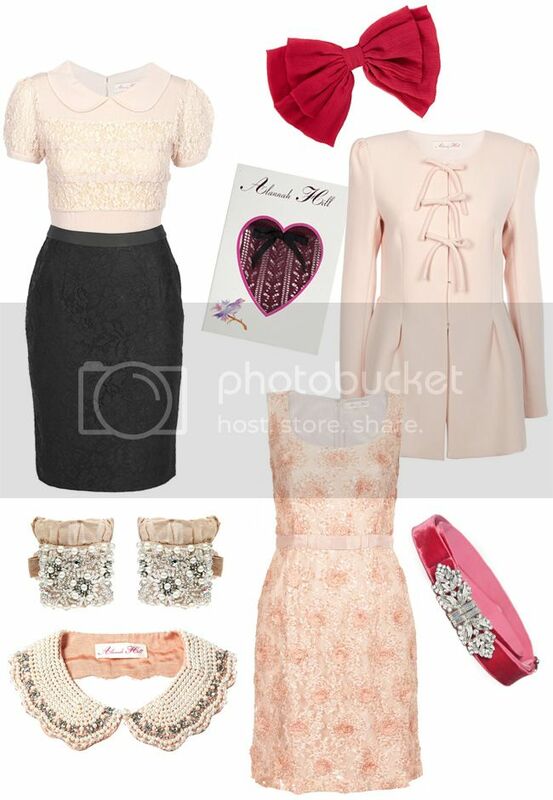 These are all so very lovely :) I really love the pink coat, it looks so soft! like it.maybe we can follow each other? Oh, wow!!! What a cute items and style!!! Oh my gosh everything is so perfect. I wish we had this in the Netherlands!